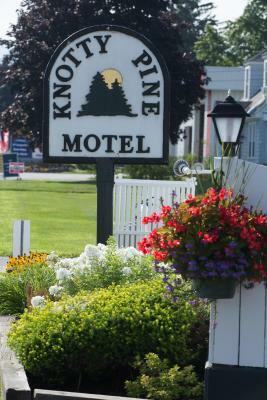 Lock in a great price for Knotty Pine Motel – rated 9 by recent guests! 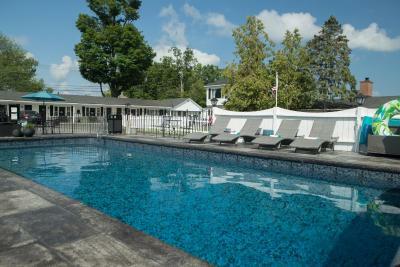 Great location close to Bennington College and Downtown Bennington. 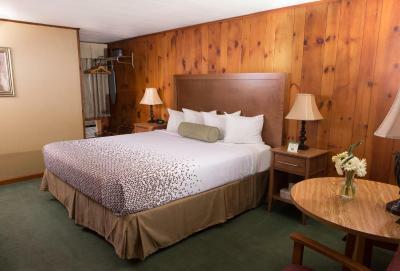 This is an old fashioned, family run motel with 50's style knotty pine everywhere. There's even a cute (antique) built-in shelf for phone and phone book. You get a real key, not a key card. The shower was lovely. The owners have friendly dogs, which is wonderful if you like dogs. The owners and front desk help were wonderful. The motel itself was spotless! Another big plus was the comfort of the bed and big puffy pillows. Exceptionally clean and up to date. Very comfortable and nicely decorated. We will definitely return and tell our friends and family about our experience. The staff were outstanding. The rooms were very clean and comfortable. Easy access to town and sites. We were very well pleased with the accommodations at this motel! 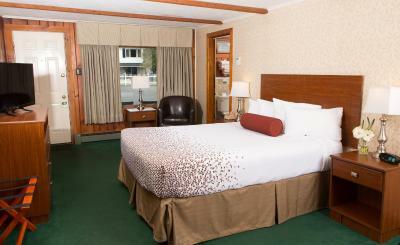 Comfortable beds, very clean, friendly staff. Would highly recommend. The owners were very friendly and helpful. The room was adorable, super clean and comfy. I would highly recommend The Knotty Pine. We had a great stay. Very quiet. Nice room. Everything in excellent condition, very well maintained. Owners are 2nd generation, have been doing this for 45 years, are easy-going, clearly know how to provide well for their customers. Easy check-in and out. Older style, (lots of knotty pine!) in excellent condition. 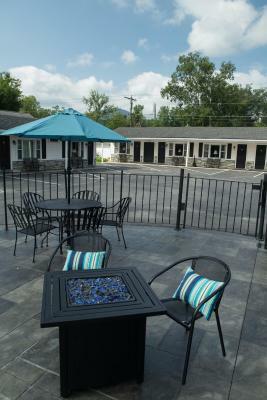 Location convenient to all areas of interest and downtown. Comfortable, lots of heat and hot water, good water pressure in shower. Very good value. Love the type of hotel where you drive right up to your door and this fit the bill. Staff was super friendly and helpful (3rd generation owners). Would recommend to others. 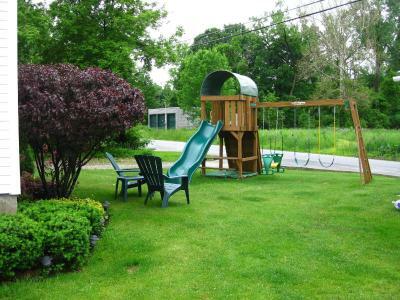 Very clean, close to downtown Bennington, economic, very responsive, onsite owners. Back a little from the road so no road noise. Excellent beds, fast hot water, excellent TV channel choice. One of our best sellers in Bennington! 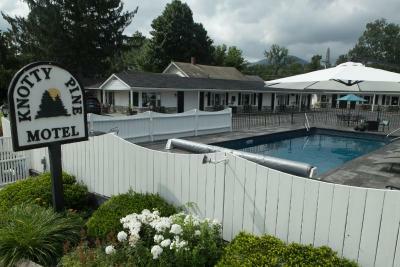 Offering an outdoor swimming pool, Knotty Pine Motel is located in Bennington. Free Wi-Fi access is available at this family-owned property. 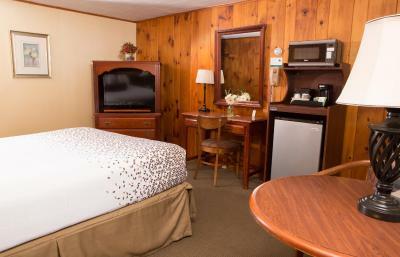 A microwave, refrigerator and flat-screen TV are included in each guest room. The private bathrooms are equipped with a hairdryer and towels. 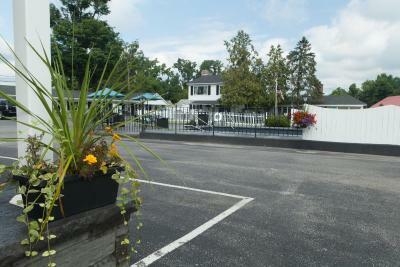 The motel is 5 minutes’ drive from Bennington Museum and 7 minutes’ drive from Bennington Center for the Arts. 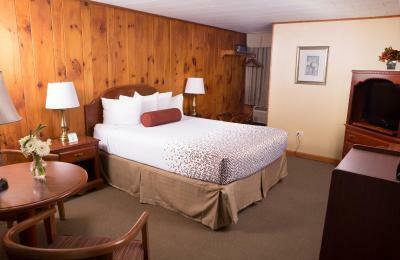 When would you like to stay at Knotty Pine Motel? 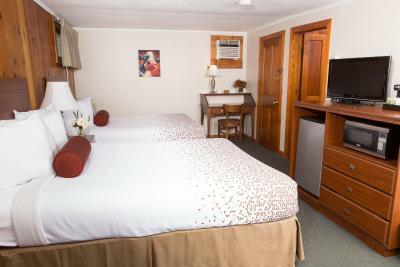 This double room features a table with 2 chairs, microwave, refrigerator, air conditioning and cable TV. 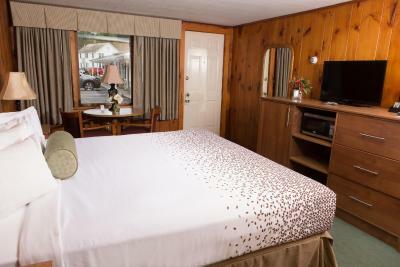 House Rules Knotty Pine Motel takes special requests – add in the next step! Knotty Pine Motel accepts these cards and reserves the right to temporarily hold an amount prior to arrival. Please inform Knotty Pine Motel of your expected arrival time in advance. You can use the Special Requests box when booking, or contact the property directly using the contact details in your confirmation. 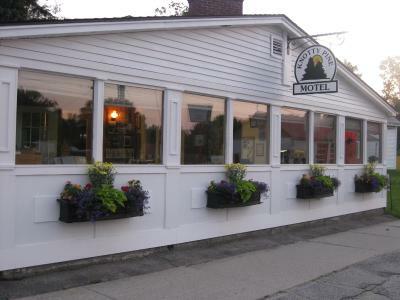 This is a traditional old-style roadside motel, but nicely maintained/updated, very clean, with a comfortable bed, easily regulated heat and excellent wifi. 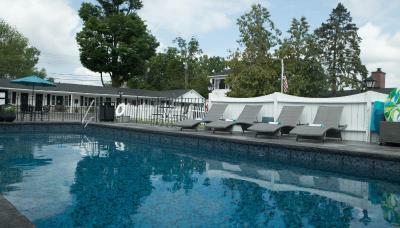 It is very close to Bennington College, which we were visiting, on the northern outskirts of the town of Bennington. There's not a lot of sound insulation from the outside. You can hear people talking as they get in and out of their cars right in front of your room. The location was so-so, but you can't have everything. Clean and comfortable. Nice place. Really can't say anything negative. From check in to departure it exceeded our expectations. The beds tended to be slightly sagged in the middle causing you to roll to the center but were otherwise comfortable. I could occasionally hear my neighbors and my AC/Heat unit would make a clicking noise spratucally through out the night. The area has grown up around the motel, so it is a little bit busy, and not a bucolic setting.